Since I am a food blogger, it only seems appropriate that I devote an entire post to my favorite meal of our recent trip to the Czech Republic. Most of the third day of our trip was spent in, and en route to and from, Dresden, Germany, which is just a three hour drive from Prague, where we stayed for the duration of our trip. 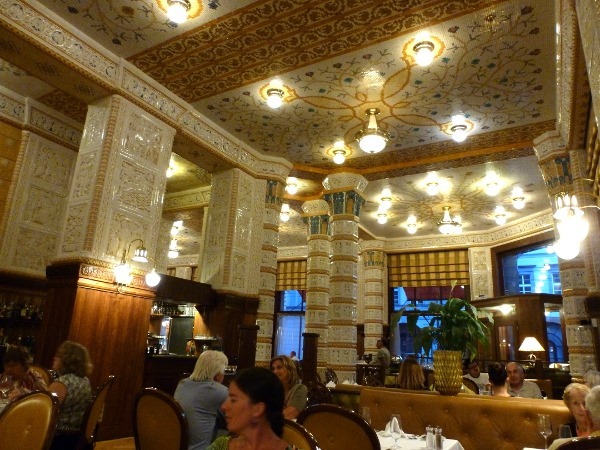 Following a recommendation from our Taste of Prague tour guides, Jan and Zuzi, we made a dinner reservation at Café Imperial, which was only a five minute walk from our hotel in Prague. I started to get excited for dinner before we even walked through the doors of the restaurant! So pretty! Are you kidding!? 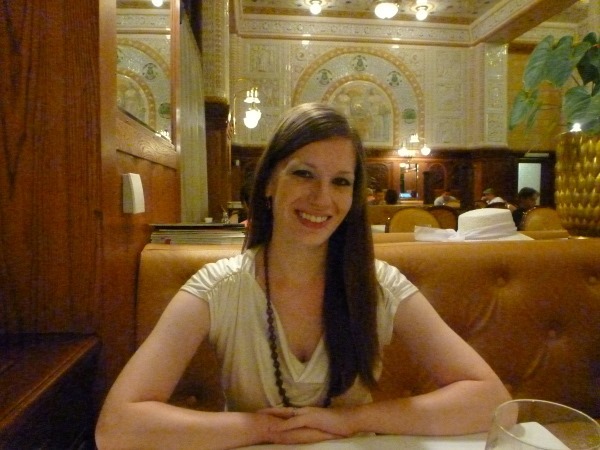 This stunning Art Nouveau café, which has existed for more than 100 years, provided one of the most romantic dining settings I’ve ever experienced. And the food! My noms! Let us not forget the food. 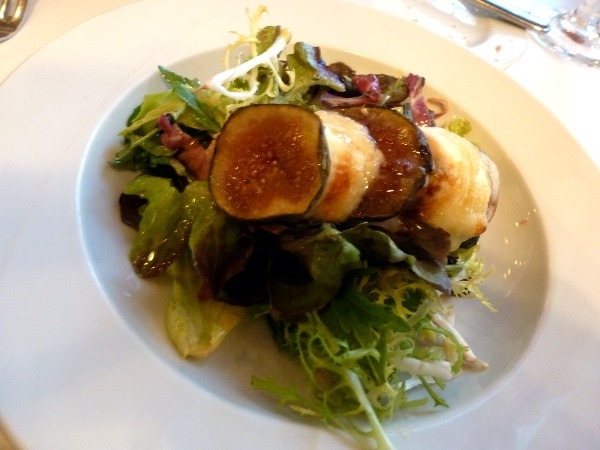 Given my recent obsession with figs and goat cheese, I simply could not pass up the goat cheese salad with warm figs, drizzled in lavender honey. When I first ordered this as a starter, our server cautioned me that the portion size is quite large, and offered this ideally sized half-portion as a perfect dinner prelude. What a doll. This salad blew me away. I would like one for breakfast, lunch, and dinner each day. Please and thank you. 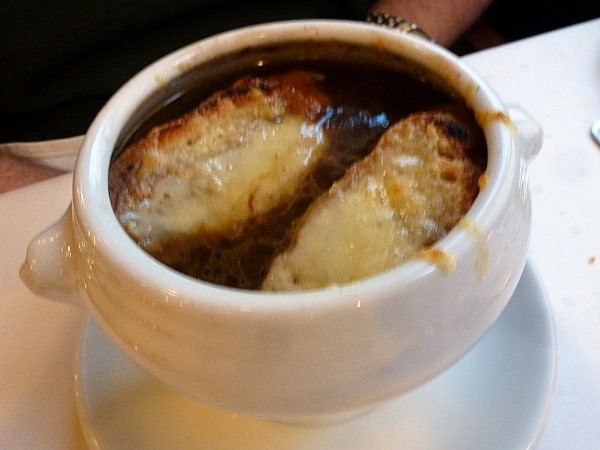 The huz ordered French Onion Soup because… French Onion Soup. Right? In Prague. He liked. Very rich. Mmm. Without question, I wanted to order an entrée from the “Czech Specials” section of the menu (and yes, an English menu was offered! 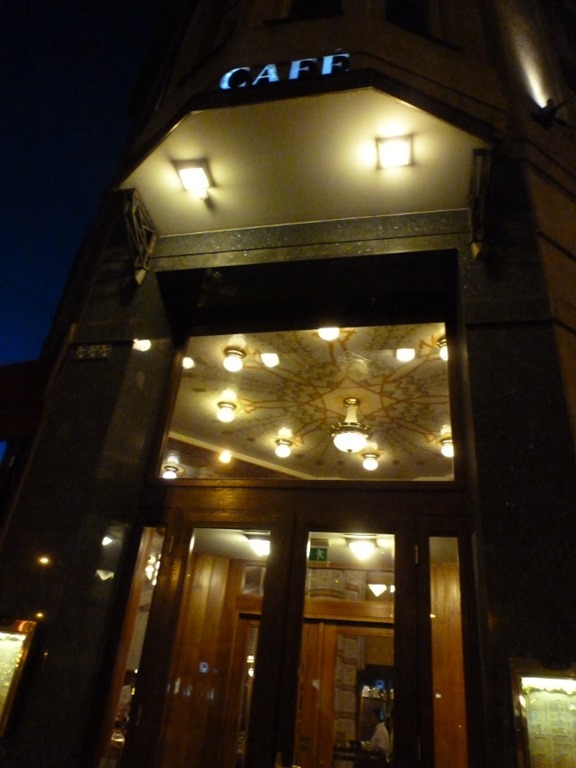 ), given Café Imperial’s reputation for serving great authentic Czech cuisine (unlike some of the local tourist traps!). After much debate (I came ::this:: close to ordering braised veal cheek), I select the Confit of Duck and what am amazing selection it was! Other than a few small bites of duck mixed into foods back home (like duck nachos at Mélange or duck quesadillas at Red Hawk) this was my first time ordering straight up DUCK at a restaurant and I must say that I am a fan. And by fan I mean OMGTHISWASSOGOOD. I’m actually a pretty vocal eater, especially when in the comfortable presence of just the huz, and I was just MMMing and OMGing my way through this plate. “To prepare a confit, the meat is rubbed with salt, garlic, and sometimes herbs such as thyme then covered and refrigerated for up to 36 hours. Salt-curing the meat acts as a preservative. Alongside that incredibly rich duck leg were sides of braised red cabbage and three giant Czech dumplings, perfect for dipping in that delectable gravy poured over my plate. Perfection. The huz also loved his dinner. 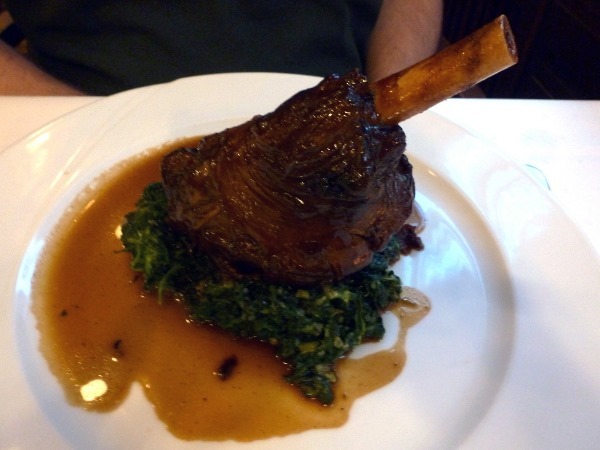 He ordered one of the Chef’s Specials, the braised shank of lamb with marjoram and creamed spinach. How good does this bad boy look? We each cleaned our plates and were left with big smiles. Or maybe it was that beer buzz. All smiles. “We should just come back here for dinner every day for the rest of our trip,” I may or may not have [half-jokingly] mused. 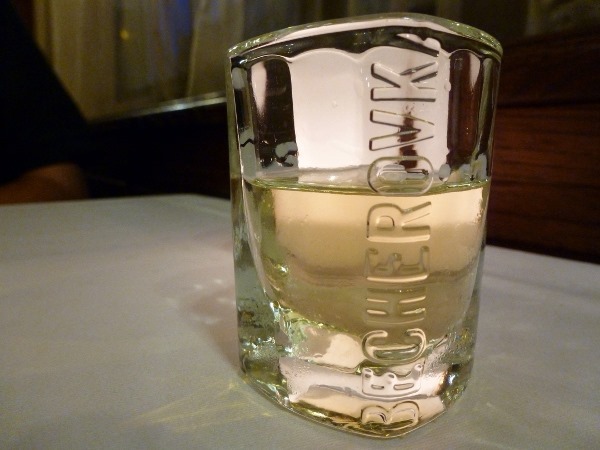 Zuzi and Jan also got me hooked on Becherovka while I was in Prague, an aromatic Czech herbal bitters (38% ABV) that tastes of warm, Christmas-y spices like cinnamon and nutmeg. It is most often served after meals as a digestif, and I did just that. But I wanted some chocolate too. The “Chocolate bomb ‘Surprise’” was my dessert of choice. Top notch. Warm and gooey in the middle! The combination of the warm, spicy cinnamon flavors in the Becherovka and the cocoa in the chocolate cake reminded me of Cupcake Station’s spicy Chocolate Aztec cupcake. When the huz saw Ice Cream Sundaes on the menu, he couldn’t resist. All day for the last three days of our trip, we constantly pointed out every time we saw someone eating an ice cream sundae, just because they were everywhere, I swear! I don’t know if this was a tourist thing, a Prague thing (though we saw tons in Dresden too! ), or a European thing, but people LOVE their ice cream sundaes on the other side of the pond! We literally saw a table of four senior citizen-aged men eating huge ice cream sundaes together on a Sunday afternoon. I feel like I would not see that back home in the U.S., but I LOVE IT! A modest Dänemark sundae suited the huz after an indulgent dinner, with vanilla ice cream, hot chocolate, and whipped cream. 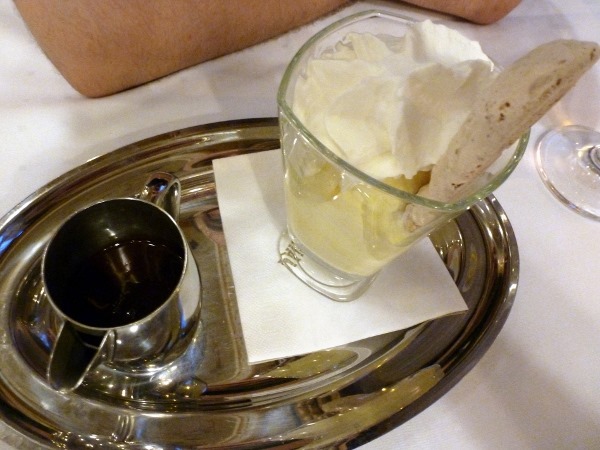 I couldn’t recommend Café Imperial more to anyone living in or traveling to Prague. Our food was simply delectable, service was wonderful [kind, attentive, prompt, accurate], and the atmosphere was incredibly romantic. 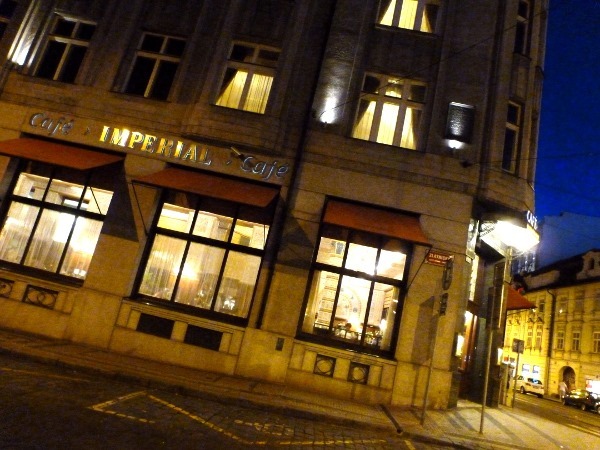 Café Imperial offers amazing Czech specialties at reasonable prices in a lovely, warm ambiance. 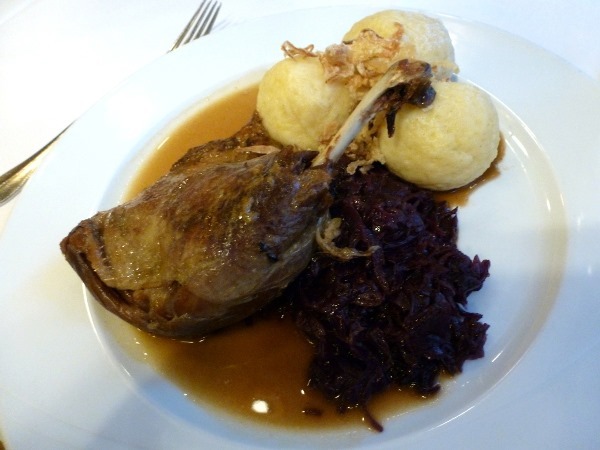 Pingback: Europe 2013: Day 4, Part I-Prague’s Old Town Square | Meg.Goes.Nom.Nom. Pingback: Europe 2013: Day 4, Part II-Mala Strana | Meg.Goes.Nom.Nom. Pingback: Europe 2013: Day 5, Part I-Vyšehrad | Meg.Goes.Nom.Nom. Pingback: Europe 2013: Day 5, Part II-Kutná Hora | Meg.Goes.Nom.Nom. 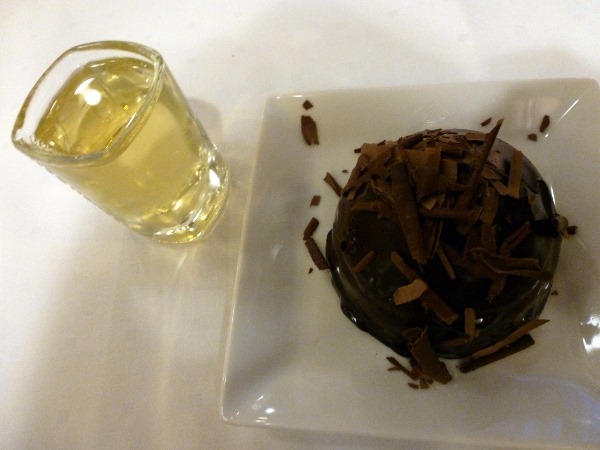 Pingback: Europe 2013: Day 6, Part I-Prague Castle | Meg.Goes.Nom.Nom. Pingback: Europe 2013: Prague Day 7–Part II: Petrin Hill | Meg.Goes.Nom.Nom. Pingback: Europe 2013: Prague Day 7–Part II: Hradčany and Café Savoy | Meg.Goes.Nom.Nom. 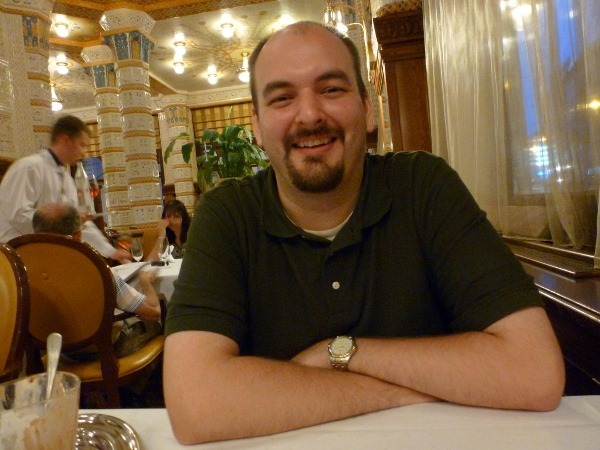 Dinner at Cafe Imperial was the best dinner of our recent 14 day trip in Hungary, Austria, Germany & Prague. I ordered the veal cheeks and that was the best meal of the whole trip! I also had the “bomb”. Wonderful!